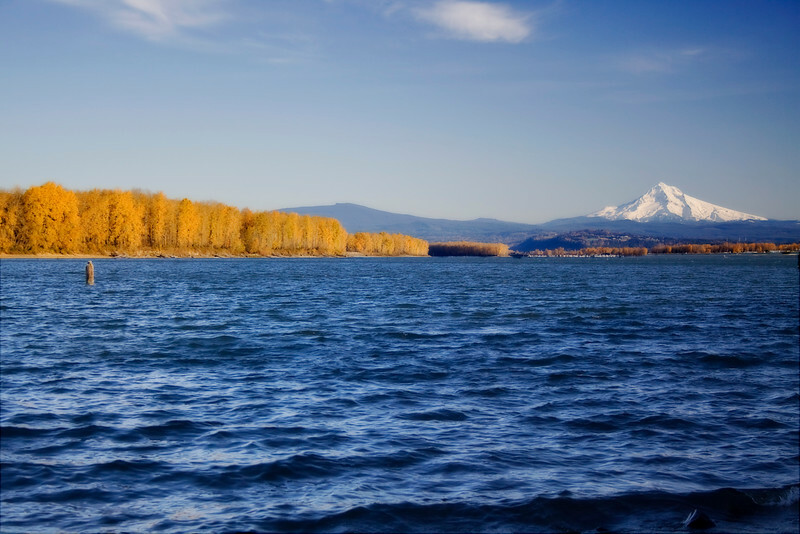 The Columbia River separates Oregon & Washington between Portland, Oregon and Vancouver, Washington. In the fall all the trees along the river turn a brilliant yellow, but we seldom have sunshine at a time when I can try to shoot this area. I wish I had a boat! Mt. Hood in the background. The colors seriously were this intense that day, with the water in shadow.